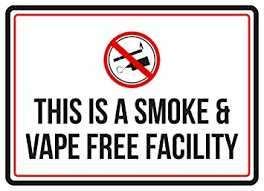 We are dealing with an unusual number of incidents involving high school students and vaping. This is an area-wide concern in our communities and schools. CHS is taking an active role in educating our students on the dangers of e-cigarettes, vapes, Juuls, and drug awareness. We need your help in eliminating it from our campus. If a student is found using a vape or is in possession of a vape or vape paraphernalia (vape juice, cartridges, etc.) while on campus or at a school-related event, it is the policy of Coahoma High School to assign placement in a Disciplinary Alternative Education Program (DAEP).